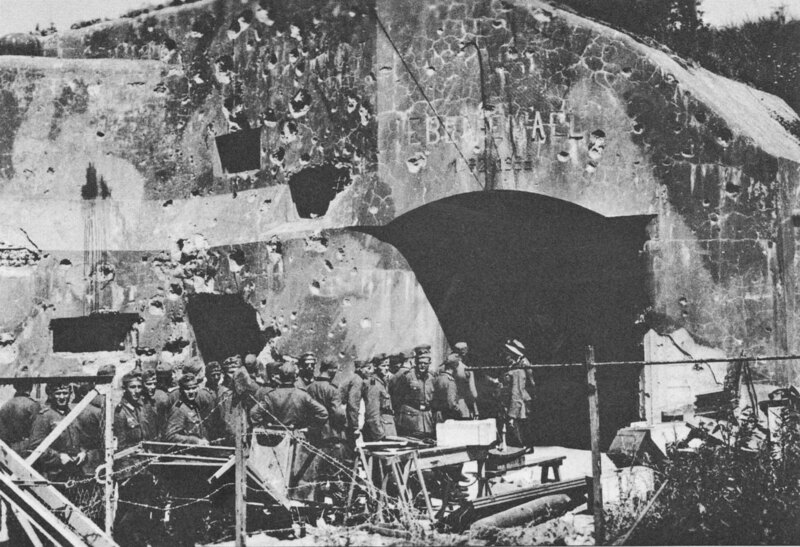 German soldiers inspect the ruined fortifications of the Belgian fort Eben-Emael. Fort Eben-Emael was captured by a detachment of German paratroopers under the command of Oberleutnant Rudolf Witzig – 84 people on 11 DFS-230 gliders. The losses of the Germans were 6 killed and 11 wounded, the Belgian garrison of 1220 people lost only 23 killed and 59 wounded.